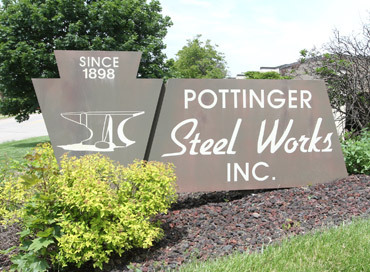 Welcome to Pottinger Steel | Pottinger Steel Works, Inc. Welcome to the online retail division of our metal and steel business, we thank you for visiting and encourage you to explore our site. Founded in 1898 as a blacksmith shop and general steel supplier we’ve now been in continuous operation spanning three centuries. We're proud to say that we are a family owned and operated company that's been at it for nearly 50 years now. For a more detailed company history please visit our About Us page. Our retail mission is exactly the same as our commercial mission; to exceed your expectations in terms of quality, service and price. We treat each order that comes through our doors with an equal level of priority, we realize that your order is every bit as important to you as a multi-ton order may be to a global organization. Recognizing that we have structured our staff to promptly expedite all orders, both large and small. 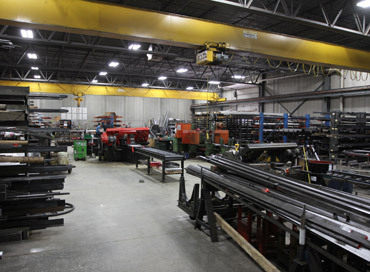 In choosing us as your metal and steel supplier you can be assured that you’re working with an established steel service center with a long history of exceptional customer service. Going forward we intend to continue this tradition, we welcome the opportunity to prove ourselves to you. Or as we like to call it, our online steel service center. Here you'll find a wide variety of metals to serve all needs: industrial, maintenance, repair, home projects, hobbyists, metal artists, the list is endless. 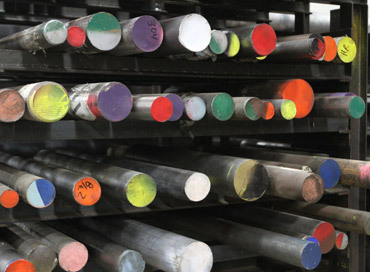 The vast majority of our metal is sold by the inch, this allows you to buy exactly what you need. Virtually all of our material can be cut to your specific length with no cutting charges tacked on. We don't require you to buy and pay for standard length stock that you don't need, you can buy the exact length that your project requires. There are however a handful of smaller sizes that we offer only in standard four foot and six foot lengths. It's the most economical way for us to inventory them and allows us to offer them to you at substantial savings. 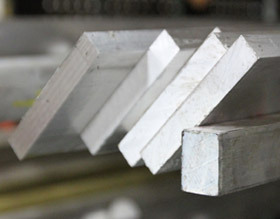 These can be found in many of our steel categories listed as Pre-Cut sizes. If you need something that you don't see listed please contact us at our toll free number during regular business hours or send us a message through our Contact Us page. If we don't carry it we'll do our best to locate it for you. Our hours of operation are Monday through Friday 7:00 am until 5:00 pm CST. While our goal with all online steel orders is to ship within 24 hours of receipt, some may require additional processing which could extend the shipping time to 48 hours. Please note that all orders placed on weekends or holidays will be processed on the following normal business day. If for any reason your order cannot be filled and shipped within 48 hours (2 business days) of receipt we'll contact you and you'll be given the opportunity to cancel. Our least favorite subject. Steel by its very nature is heavy and the costs of shipping can be exorbitant. Unfortunately there just aren't that many nationwide shipping options currently available. All orders placed with us will ship via UPS or FEDEX ground. If you need expedited shipping please contact us for a UPS or FEDEX expedited quote. Please note that we do not mark up the cost of shipping nor do we charge a handling/packaging fee. The shipping cost that is applied to your order comes direct from UPS or FEDEX and is the exact amount that they charge us to deliver your material. 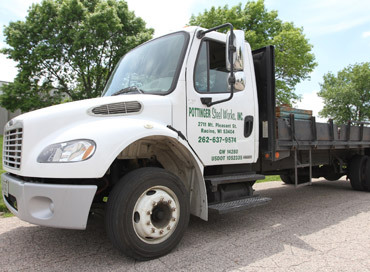 We've been in the steel sales business for a long time and we do have relationships with a handful of local shipping companies, both small package and LTL (less than load). Unfortunately none of them can be integrated into a website shipping module at this time. With that in mind we pledge to review all orders placed on our website to see if an alternate shipping option is available in your area. If upon review of your order we determine that a lesser cost carrier is available we'll contact you to offer you their service. Any reduction in shipping costs will be refunded to your credit card. Additionally all orders are available for pick up at our Racine, WI location. Of course there's no charge for this service however we do ask that you contact us after placing your order to schedule a pick up time.